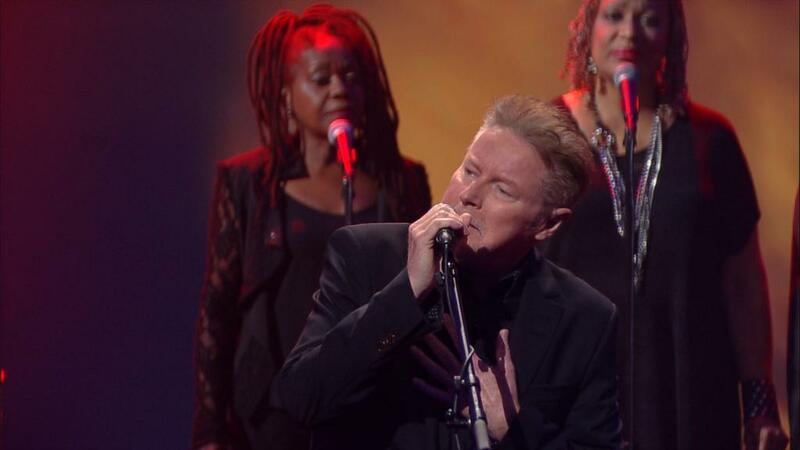 Don Henley performed a pair of songs on The Late Show with Stephen Colbert on Monday. Due September 25, The Eagles drummer’s fifth solo record and first release in 15 years sees him joined on the country-inspired project by guests including Mick Jagger, Dolly Parton, Miranda Lambert and Merle Haggard. Henley will launch a month-long fall tour of North America on October 3 in Phoenix, Arizona, with singer/songwriter Shawn Colvin opening all shows. Henley and The Eagles have been named as one of the recipients of the 2015 Kennedy Center Honors. The group will be inducted at the 38th Annual Kennedy Center Honors event in Washington, DC in December alongside fellow honorees singer-songwriter Carole King, filmmaker George Lucas, actress and singer Rita Moreno, conductor Seiji Ozawa and actress and Broadway star Cicely Tyson.